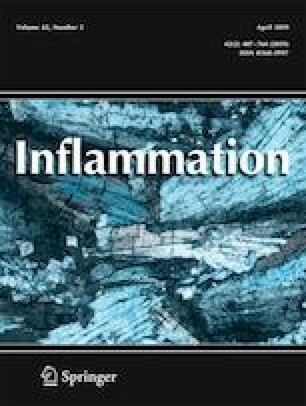 Previous studies have been indicated that tumor necrosis factor receptor-associated factor 6 (TRAF6)-induced inflammation leads to acute kidney injury (AKI). How microRNA (miR) contributes to this process is poorly defined. The aim of this study was to investigate whether miR-590-3p regulated lipopolysaccharide (LPS)-induced inflammatory response by inhibiting TRAF6. LPS-induced septic mice were treated with adenovirus expressing miR-590-3p (ad-miR-590-3p) via tail-vein injection. AKI was evaluated by examining serum cystatin C (CysC), serum β2-microglobulin (β2-MG), and blood urea nitrogen (BUN). The mRNA and protein levels were assayed by RT-qPCR and western blotting, respectively. The proliferation of podocytes was monitored using the MTT assay. Cell apoptosis was analyzed by flow cytometry. Survival outcomes in ad-miR-590-3p-transfected septic mice were markedly improved compared with mice with LPS-induced sepsis. Ad-miR-590-3p transfection significantly attenuated LPS-induced AKI, which was reflected by an improved glomerular filtration rate (GFR) as determined by measuring CysC, β2-MG, and BUN. Moreover, we observed that miR-590-3p was a novel regulator of TRAF6, binding to its 3′-untranslated regions (3′-UTRs). In vitro, a miR-590-3p gain-of-function mutation blocked LPS-induced podocyte growth inhibition and apoptosis, as well as overactivation of the inflammatory response. miR-590-3p has the ability to suppress LPS-induced AKI and podocyte apoptosis by targeting TRAF6. This might provide a novel strategy for the treatment of LPS-induced renal injuries. We give thanks to the Department of Pathology, Wuhan Third Hospital of Wuhan University to provide technical support. The experiment was approved by the Ethics Committee of the Wuhan three hospital of Wuhan University (Wuhan, China) and performed in accordance with its guidelines.